This is one of those crazy stories where one life gets saved by a pure coincidence. The story is getting a lot of attention and speculations by the wide public is was really the dog trying to save a friend in need or rather just catch the stick. Either way we have to admit that it was a heroic act. 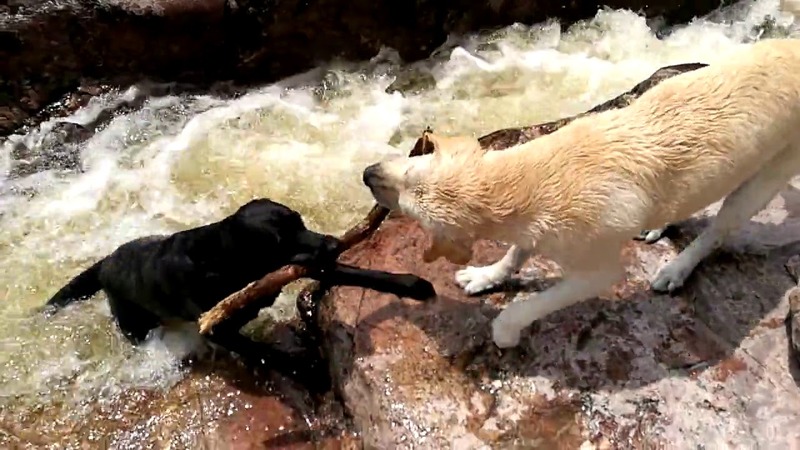 As the duo was having a good time with their owner playing with the stick by the river on a sunny day, one of the dogs fell on the water and lost control. As the current was taking him away the other dog that was staying on the cliff grabbed the stick quickly and helped him climb on solid ground. So eventually the question rises, did he really cared deeply for his friend and did all possible to save him or perhaps was just looking to grab the stick from the other dog.